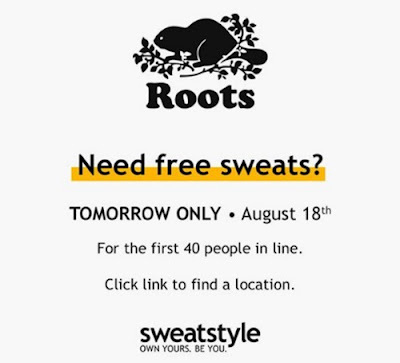 Roots is giving away Free Sweatpants tomorrow! This offer is available to the frist 40 people in line at participating locations (see link below for where)! Offer valid Thursday, August 18, 2016 only. While quantities last. Adult sweats only. One per customer.